It’s a common question and misconception that often raises a vegan’s eyebrows: is bread vegan? It can definitely cause some confusion for some, especially those new to the vegan lifestyle, as it is often thought that bread contains ingredients such as dairy or gelatin – but this isn’t always the case! Typically, bread is made from wheat flour, water, yeast, and salt – all vegan-friendly! However, this doesn’t mean your one-way ticket to the bread aisle. Make sure to check some labels before you begin to fill your shopping bags! There are some brands out there, typically supermarket brands, that use some dairy products such as egg, whey, honey or gelatin. Most breads are vegan-friendly, and there is such a huge range of types of bread to explore. For example, most sourdough bread, pita bread, ciabatta bread, naan bread, rye, tortillas, garlic bread, flatbread, sandwich bread and muffins are suitable for vegan diets. Northern Bakehouse and so many more. Which Brands Should Vegans Avoid? But there are other ingredients lurking around that can easily be overlooked. Some bakery products, such as bagels and breads, contain L-cysteine. This amino acid is used as a softening agent and often comes from poultry feathers. You should also avoid mono and diglycerides, unless it is stated on the label that they are plant-based. Mono and diglyceride often consist of animal fats, unless stated otherwise. So make sure to check the labels before buying. Ultimately, finding vegan bread is not as difficult as you may think. In fact, it’s super easy! The most effective way to find out if a bread product is vegan is by reading the ingredient label in store, or by visiting the company’s website. If, for some reason, you are struggling to find a particular type of bread that doesn’t meet your needs, why not make your own? There is plenty of room to experiment! As long as you are aware of the main offenders when it comes to non-vegan friendly ingredients, you should have no problem maintaining a fulfilled vegan lifestyle and diet. 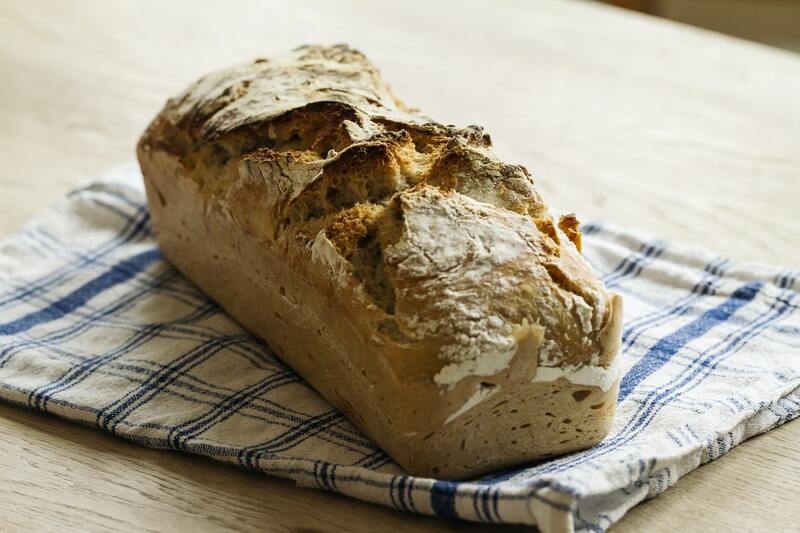 If you fancy having a go at creating your own vegan bread, check out some of our favourite recipes on the links below!